Pugliese Vineyards, the winery in the hollow, features fine wines, many estate bottled, of exceptional quality. Our award-winning wines, our dazzling Champagnes, and our superb Ports offer the discriminating consumer a wealth of tastes and textures to enjoy. We hope you will have a pleasant experience in sampling what we have to offer through our website. Our goal is to entice you, to tease you, to tempt you. We firmly believe that our wines are among the best the North Fork has to offer – which means they are among the finest in the world. 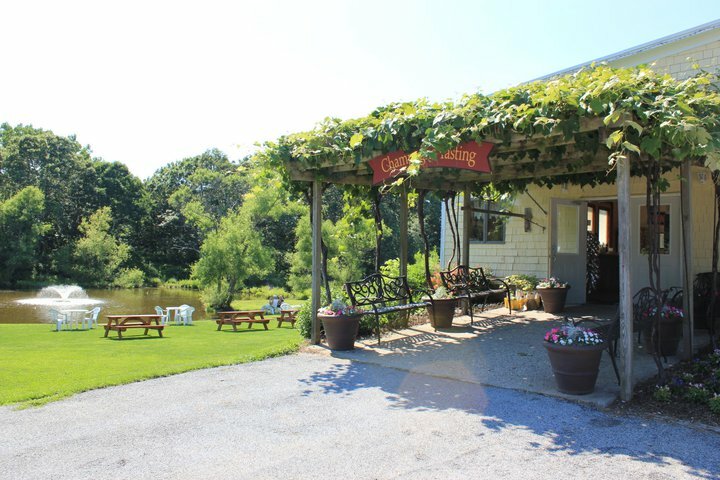 Established in 1980, Pugliese Vineyards is a family owned and operated vineyard located on the beautiful North Fork of Long Island. Chardonnay, Cabernet Sauvignon, Merlot, Pinot Noir, Riesling, Cabernet Franc, Zinfandel, and Niagara are the fine wine grapes that are grown and produced into fine wines and champagnes at Pugliese Vineyards.